The Skyway was closed at midevening Tuesday due to dangerous weather conditions and numerous accidents, Buffalo Police reported on Twitter. 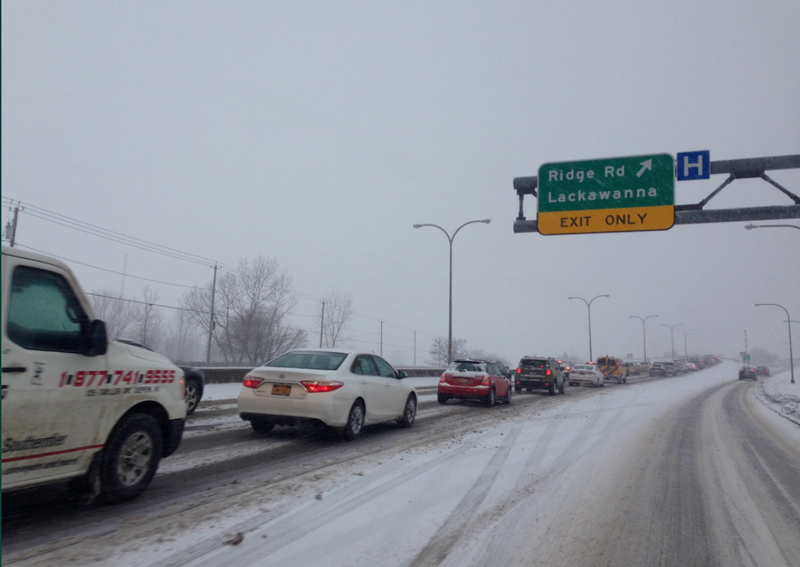 The closure of Route 5 extended from downtown Buffalo to Ridge Road in Lackawanna. Route 5 from Route 179 in Hamburg to downtown Buffalo was one of several Western New York express routes declared off-limits to tractor-trailer trucks and commercial buses as of 8 p.m. Tuesday by Gov. Andrew Cuomo during a storm briefing Tuesday afternoon. Big trucks and buses also were banned from the Thruway from Exit 46 near Rochester to the Pennsylvania state line, I-190 and I-290 in the Buffalo area, all of Route 400 and the freeway section of Route 219 from the Thruway to Peters Road in Cattaraugus County. Travel advisories were issued for northern Erie County and Niagara and Genesee counties.